Thank you for taking the time to write a review and to offer such kind words! We take pride in our work and truly appreciate it. We look forward to future projects with you! I have been dealing with Nash floors for two generations. Thank you Barry Renovation for taking the time to give us a review. We value your input and look forward to many more project collaborations in the future! 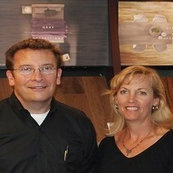 Jennifer, thank you for entrusting Nash Floors for your new hardwood and carpet investment! We enjoyed working with you in selecting the right flooring for your style and needs! Thank you for your kind review! We are pleased that you are happy with you new carpets and wish you many years of enjoyment from them! Thank you for taking the time to give us a review. We appreciate your kind words and look forward to working together on future jobs! Thank you for sharing your recent review. We are pleased that you are loving your new rec room floor. Please keep us in mind when planning future flooring projects!